GMS! 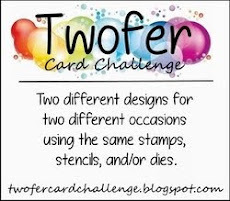 I have two cards today - WOOHOO, which stands for woo and hoo, nothing else. I've worked for years at a company that uses a TON (meaning a lot) of acronyms. It took me quite a while to fit in with the lingo and I couldn't resist, of course, making up nonsense acronyms whenever I could! JFTFOI. 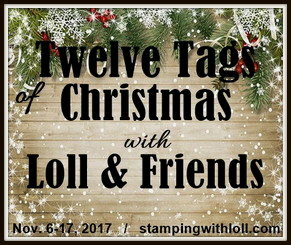 And now, in this WWW of online stampers and crafters, I am sometimes at a loss for WTH all the acronyms mean like RKY, or CAS, or DWP. Know what I mean? 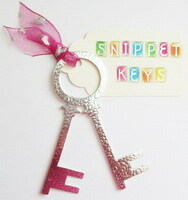 But I'm getting the HANG (meaning suspend or dangle) of it. Huh? Why do we use it to mean "understand" I wonder. BID. Embossing yesterday reminded me of how much I enjoy embossing. I know gray is an odd color for a baby card, but because I embossed the rattle in silver, it seemed to be the thing to do, in my mind. I first embossed the rattle in silver and then embossed the bow in yellow. 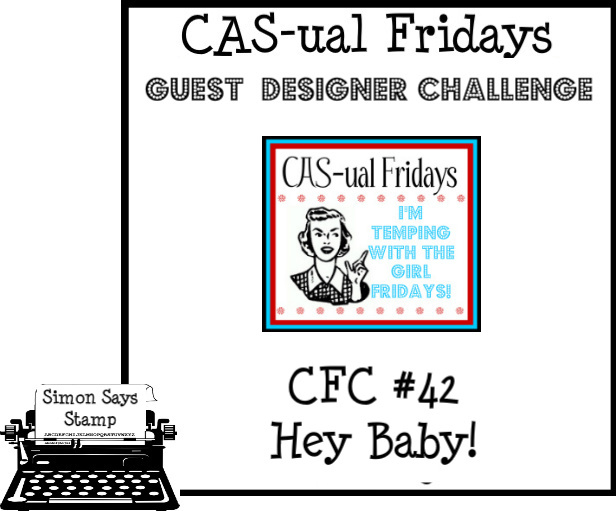 To join in the fun and make a CAS BABY (meaning infant) card or project, please check out the awesome CAS-ual Fridays site. I have to say that I made the mistake of going to SCS first thing this morning and checking out the other cards and now I'm wondering if I shouldn't instead be putting these cards just in the CAS category. My cards are VERY (meaning quite) unadorned compared to most of the beautiful cards already downloaded. Or uploaded. Now the term "loaded" I am familiar with and one time ... hey now. 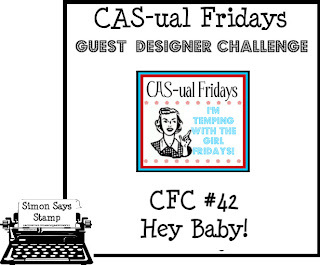 I'm happy to welcome Wilma Kelly of Smitten with Stampin as a follower. 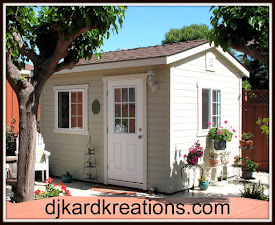 Stop by and welcome her online, if you can, as she is just starting out. Have a fabulous Sunday, wherever you are. Thank you, as always, for stopping to visit me and say hi! Love the baby card and what a great idea for the shamrock, will try that one! Beautiful cards. Wonderful baby color-love the color combo :) Thanks for playing with us at CAS-ual Fridays!